Even some experienced Access developers shy away from writing SQL directly because they only use the Query Designer. That’s a shame, because, unless you’re willing to write SQL, you can’t use subqueries, which are a powerful tool for solving some especially thorny data retrieval problems. In this article, Mike Gunderloy introduces subqueries and shows how you can use them in Access. So what’s a subquery? That’s easy: A subquery is an SQL SELECT statement that’s nested inside of another SQL statement. You can use subqueries as part of a SELECT, SELECT INTO, INSERT INTO, DELETE, or UPDATE statement; in this article, I’ll only cover subqueries in SELECT statements. But the big question is, “Why would you want to use a subquery?” I’ll start out by looking at a practical example. 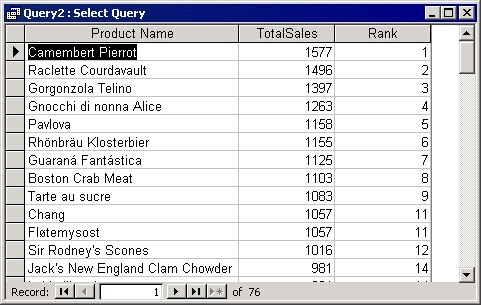 Create a new query based on the Orders table. 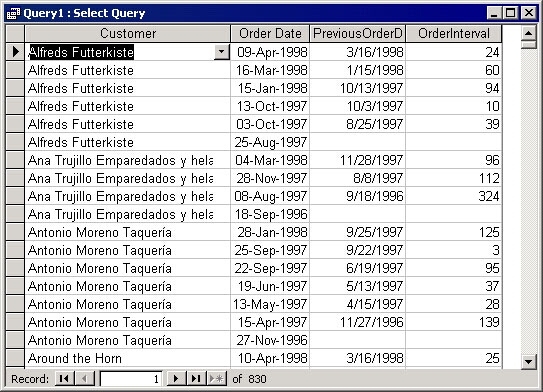 Choose to show the CustomerID and OrderDate columns. The embedded SELECT statement in parentheses is a subquery. To be more precise, this particular example is a correlated subquery: one that uses a field from the main table as a part of the WHERE clause in the subquery. Now, the $123.79 unit price is removed from the results (along with several others); the query returns only rows in the main table that are less than all of the rows returned by the subquery. Note that the WHERE clause in the subquery joins a field from the subquery with a field from the main query. This is what makes the subquery return different results for each customer in the main query. Figure 2 shows the results of running the second query. Note how duplicate sales figures are handled by assigning a tie rank. The query works by looking at a second copy of the source query and counting the number of rows that have a total equal to or greater than that of the current row. If you run this query, you’ll discover that it’s extremely slow, because it needs to run the nested totals query once for every row in the result set. Subqueries are perhaps the simplest queries in Access that absolutely require you to write some SQL. Even if you use the QBE grid to construct your overall query (as I did for the first example in this article), you can’t avoid writing an SQL statement for the subquery, either in a field definition or in a WHERE or HAVING clause. The requirement to write SQL makes many beginning Access developers shy away from using subqueries. That’s a pity, because some problems (for example, the ranking query or the top per group query) are most easily solved by subqueries. Rather than avoiding subqueries, I urge you to embrace them. Learning enough SQL to write subqueries will help you gain confidence in writing SQL statements, and ultimately you’ll find that you can use this knowledge to write other types of queries directly in SQL. 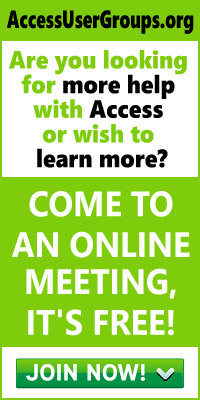 Access is practically unique as a product in letting you switch easily from a graphical view of a query to an SQL view. By learning how to make this switch on your own, you’ll develop SQL skills that will serve you well in other less flexible products, as well as in writing VBA code that uses SQL statements.